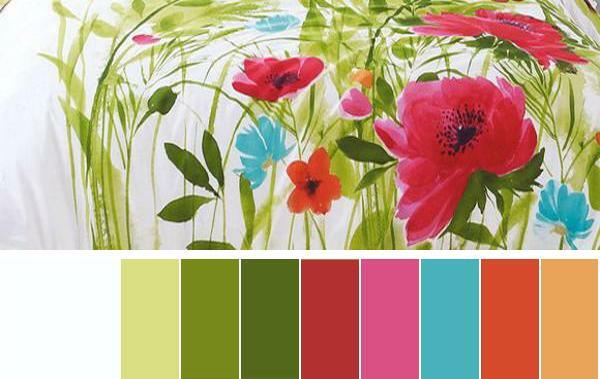 Selecting the best summer decorating color schemes for your rooms and outdoor living spaces is a simple and fun task. 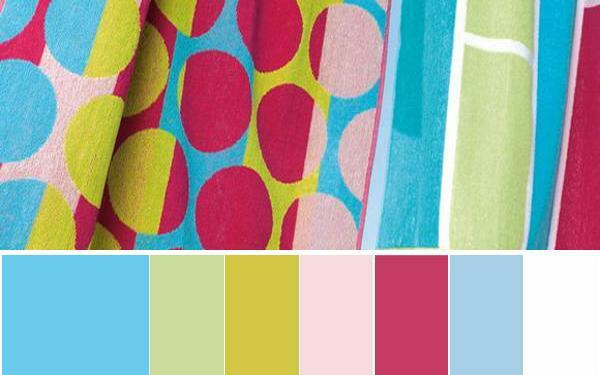 Beautiful home fabrics give great inspirations for interior paint colors. 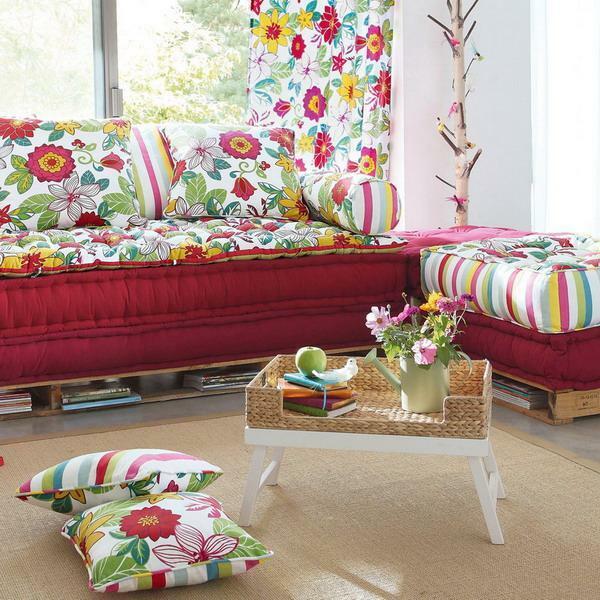 Summer home decorating is about taking advantage of the most colorful season of the year, blending bright interior paint colors with natural decorative fabrics and playful decorations patterns, and creating energizing and bright rooms and outdoor home decor. Summer decorating ideas allow to experiment with all interior decorating color schemes and create stunning color combinations for outdoor living spaces and home interiors. The best summer decorating color schemes for your home include prettiest shades of summer, light or rich interior paint colors that complement playful decoration patterns and fabric prints. Picture perfect room decorating or outdoor home decor in summer means your favorite decorating colors and attention to details. Deciding on the right interior decorating color schemes and selecting color combinations for your outdoor living spaces can spell the difference between gloomy and dull atmosphere and summer fun. Choosing the best summer home decorating color schemes is one of important decisions that turn your home interiors and outdoor rooms into optimistic, energizing and stylish places. 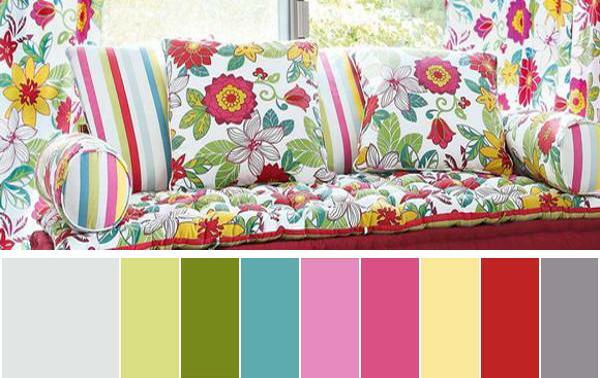 Here is a collection of summer decorating color schemes from home decorating experts. Drawing inspiration from mother nature and choosing your favorite color hues will help you to select the best room color schemes for summer decorating and turn outdoor living spaces into bright and stylish. These pretty color combinations show how to choose interior paint colors for beautiful interior color schemes and how to match outdoor decor items adding harmony to your home. Combined with stripped patterns, floral designs or simple geometric patterns, these color combinations will bring fun, joy and energy into your summer home decorating. 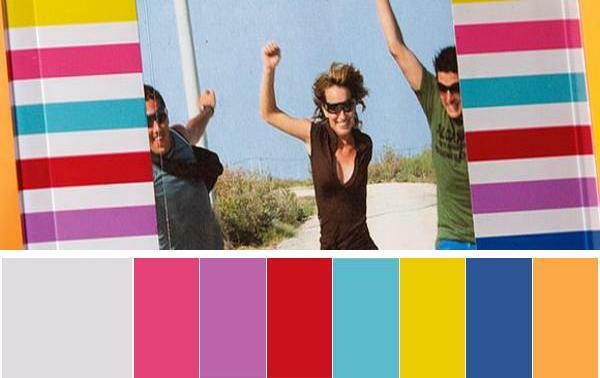 Colors that are associated with summer include simple shades of white, red, orange, yellow, blue, green and brown. Pink and purple color shades, all pastel green color tones, turquoise which is blue-green-color and all shades of golden colors make wonderful accents, while enhancing interior color schemes for spring and summer decorating. Pastel dark tones and rich red, orange, yellow and green colors are excellent for those who like to create warm and relaxing summer decor with an ethnic flavor. White color represents the intangibles: purity, loyalty and freshness. White paint colors and home furnishings in white colors work well with any interior color schemes and outdoor home decor color combinations. Green color shades create gorgeous interior color schemes and outdoor color combinations for spring and summer decorating. Nature inspired home decorating themes, patterns and fabric prints are great choices for pleasant, relaxing and enjoyable home decor that symbolizes new beginnings. White and green interior color schemes and outdoor home decor color combinations feel natural and look bright. 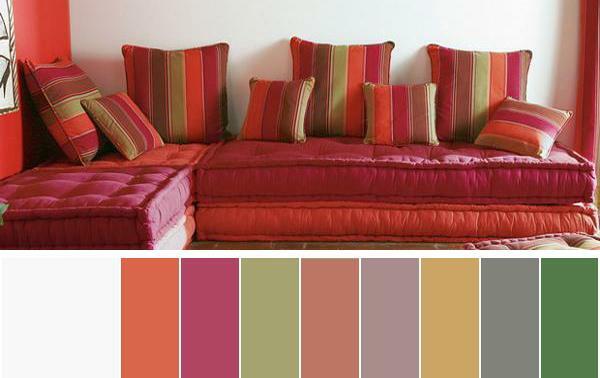 Red, orange, yellow color shades, soft pink, lavender purple or deep purple colors look harmonious and bold. Golden, orange and yellow color shades add dazzling color hues to interior color schemes, reflecting the brilliance of the sun. Inspired by summer sunsets, golden, orange and yellow color shades create fabulous interior color schemes with rich blue, red or pink color and all green color shades. Golden, orange and yellow color accents add a wonderful feel and a glamorous look to dramatic interior decorating color combinations. Pink and purple color shades create lovely interior color schemes for spring or summer decorating. 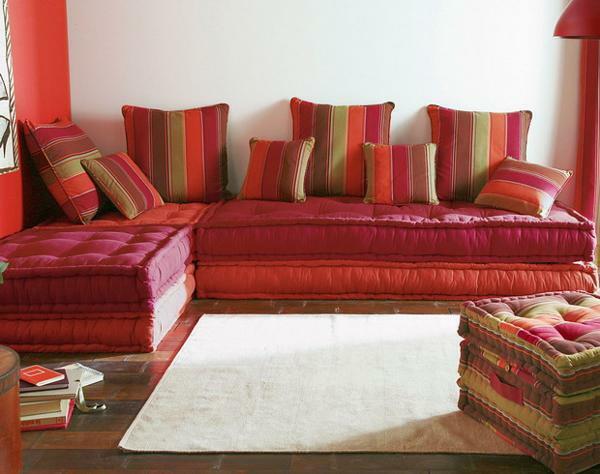 Red, pink and purple color shades beautifully accentuate interior color schemes with green tones. Blending passion and romance with graceful nature inspired green colors, red, pink and purple color shades enrich white and green color combinations with beautiful accents that look especially lovely for spring and summer decorating. Blue color, combined with green colors, create harmonious and beautiful color combinations. Blue color represents the vast sky and the sea. Rich blue, turquoise and light blue color tones are great for interior and outdoor home decor in spring and summer. Whether it is a poolside patio ideas, your dining room or bedroom and living room color schemes, blue makes color combinations feel fabulous, peaceful and attractive. Blue accents adds a serene and cooling atmosphere to interior color schemes and outdoor decor color combinations in summer.